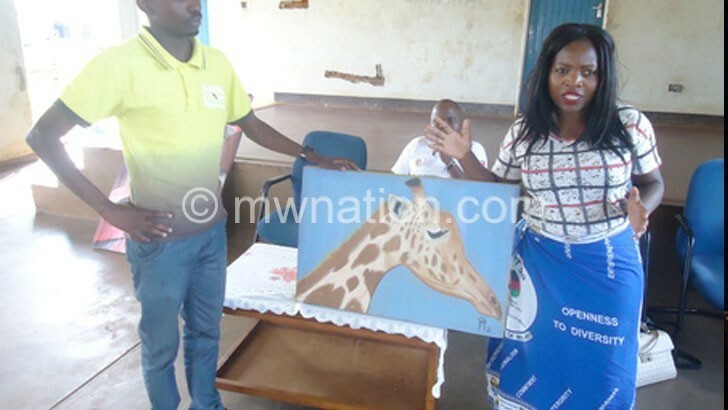 On a mission of reforming and preparing children living at Chilwa Reformatory Centre in Zomba to economically empower them, Zomba District Council social welfare office on Friday launched an art therapy at the facility. The district’s social welfare officer Stephano Joseph said the council embraced the art idea to enable kids talented in drawing, pottery and painting, among other talents, to develop their skills. The therapy, expected to set-off this month and run for two months, targets 25 children at the centre. “We are interested in seeing these children one day drawing cartoons in newspapers while others make cups and plates as well as sculptures and various paintings that will be fetching them enviable incomes for the rest of their lives,” said Joseph. He, however, called on other players interested in art and children to partner the council. “Let us remember that the future belongs to children and as a country we shall be accountable to anything that will affect these children if we fail to invest in their futures now,” he said. On their part, facilitators Priscilla Mbewe and Emmanuel Tembo challenged the children not to fear, but embrace the training if they are to become prolific artists. The reformatory’s social worker David Mhango described the therapy as a stepping stone in shaping the children’s future in addition to vocational skills imparted at the facility.